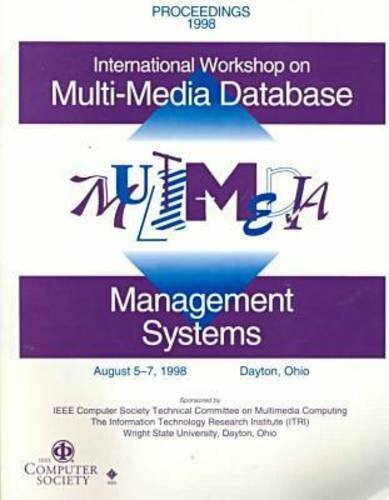 This volume covers: multimedia data storage and display; multimedia indexing and retrieval; video data management; content based retrieval; image processing; interactive multimedia systems; buffer management techniques; and multimedia databases. GuthrieBooks has served central Texas with a choice selection since 1978. We strive to provide an interesting selection and quality service. We specialize in academic works but carry books for all interests. At this time we accept payment through Visa or Mastercard. Address: Spring Branch, TX, U.S.A.